Bernard Madoff's longtime accountant has been released on $2.5 million in bail after surrendering to authorities earlier Wednesday. The 49-year-old David Friehling was arrested on fraud charges and accused of helping the disgraced money manager cheat thousands of investors out of billions of dollars. 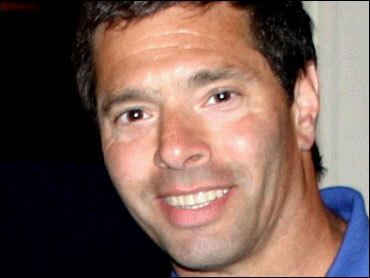 The accountant was released after a brief hearing Wednesday in federal court in Manhattan. Federal authorities are turning their attention to people they believe helped Madoff fool 4,800 investors into thinking that their investments were safe. Friehling is the first person to be arrested since the Madoff scandal broke three months ago. He faces up to 105 years in prison if convicted. Friehling was an independent accountant, and did not work at Madoff's firm, reports CBS News investigative producer Pat Milton. In a government complaint he is named as the auditor that certified Madoff's annual statements with the Securities and Exchange Commission and for investors. Prosecutors said Friehling essentially rubber-stamped Madoff's books for 17 years, serving as Madoff's auditor from 1991 through 2008 while he worked as the sole practitioner at Friehling & Horowitz. He was paid a tidy sum by Madoff: Prosecutors said he made between $12,000 and $14,500 a month from 2004 to 2007. That amounts to $144,000 to $174,000 a year. Authorities said that if Friehling had done his job, Madoff's financial statements would have shown his company owed tens of billions of dollars to his customers and was insolvent. "He did little or no testing, no verification of the 'facts' he certified," said Joseph M. Demarest, head of New York's FBI office. "His job was not merely to rubber-stamp statements he didn't verify." Acting U.S. Attorney Lev L. Dassin said in a release that Friehling is not charged with knowing about Madoff's pyramid scheme. However, Dassin said: "Mr. Friehling's deception helped foster the illusion that Mr. Madoff legitimately invested his clients' money." "This legal standard doesn't just spell trouble for Friehling. It also ought to make many other Madoff men and women, instruments to the crime, quake in their Guccis," writes CBS News legal analyst Andrew Cohen. As auditor, Friehling's responsibilities included purportedly auditing financial statements, balance sheets, statements of income, statements of cash flows and reports on internal controls. Investigators also said that Friehling and his family had sizable investments with Madoff, accumulating a balance of more than $14 million by late last year and withdrawing more than $5.5 million since 2000. Prosecutors said it's a conflict of interest for an auditor to have such a large investment. The SEC said Friehling also took steps to hide his investment with Madoff, including replacing his own name on his Madoff account with his wife's name and later naming the account the "Friehling Investment Fund" to conceal the conflict of interest. The SEC said Friehling did not meaningfully audit Madoff's business or confirm that securities purportedly held by Madoff's company on behalf of its customers even existed. The SEC said Friehling instead pretended to conduct minimal audit procedures of certain accounts to make it seem he was conducting an audit and then failed to document his purported findings and conclusions as he was required to do. The SEC also accused Friehling of lying to the American Institute of Certified Public Accountants for years, denying he conducted any audit work, because he was afraid that his work for Madoff would be subject to peer review. Last Thursday, Madoff pleaded guilty to 11 felony counts, including securities fraud, in what may be the biggest fraud in Wall Street history. His $10 million bail was immediately revoked and he was taken into custody. Madoff's lawyers have appealed his jailing, saying he should be released until his June sentencing because he never fled, even knowing he could expect to die in prison. Prosecutors are also eyeing the assets of his wife, Ruth Madoff. In court papers they sought to take control of most of the couple's assets, including three properties listed solely in Ruth Madoff's name: a $7 million Manhattan penthouse bought in 1984, an $11 million Palm Beach, Fla., home purchased in 1994 and a $1 million home in Cap d' Antibe, France. Another $3 million home bought in 1979 in Montauk is jointly owned by the couple. $10 million in furnishings for all of the homes, along with accounts in Ruth Madoff's name that hold $17 million in cash and $45 million in securities. "Bull," a $7 million yacht in France and its $1.5 million boat slip, and "Little Bull," a $320,000 Montauk boat, all in Ruth Madoff's name, as well as a $2.2 million fishing boat in Palm Beach, Fla., that is in Madoff's name. A 1999 Mercedes SLK convertible in Florida, a 2001 Mercedes station wagon and a 2004 Volkswagen, estimated to be worth a total of $25,000. Still outstanding is how to recover investors' funds that Madoff may have placed overseas. One financial analyst says he may be literally worthless. CBS News contributor Lucinda Franks told CBS News this week that getting a hold of Madoff assets held overseas poses many problems. "They have to go to trial," Franks said on CBS' The Early Show. "They cannot seize the French houses because how could you come into France with a U.S. court order? They're not going to honor it." She said authorities are tracking where Madoff has transferred funds: "They know that it has been laundered from bank to bank in Switzerland, England, Ireland, Chile and Gibraltar, and maybe Italy and Austria." But even with knowing that money has been stashed in Gibraltar, Franks said, it is very difficult to get at because the funds have been frozen. "The trustee that's responsible for disbursing the money to victims are trying to keep it frozen until they can get it." The assets were first listed in a document made public Friday that listed the couple's combined assets at between $823 million and $826 million, most of it the estimated $700 million value of what is left of Madoff's businesses.